A Nation at Work, a Community of Support. November 11th seems like just another day on the calendar. But for Veterans and their families, it holds special significance. Veterans Day is our nation’s annual recognition of our military members and their service. But November 11th hasn’t always been Veterans Day. Indeed, the way the US has chosen to recognize this day has changed significantly over the last century. The First World War was a cruel and terrible conflict for all involved. Over four long, bloody years between 1914 and 1918, entire generations of young men met their end in the trenches of wartime western Europe. While the United States entered the conflict in April of 1917, the US and its military service members still sustained terrible casualties. The guns finally silenced on November 11th, 1918, as the combatant nations announced a cease-fire. While the peace wasn’t actually struck until mid-1919, many considered the war over on the day of the Armistice in November. November 11th had a sort of cultural staying power that the signing of the peace treaty did not have. President Woodrow Wilson declared November 11, 1919 as the first commemoration of Armistice Day, to include events like parades, public gatherings and a moment of silence at 11:00 AM. 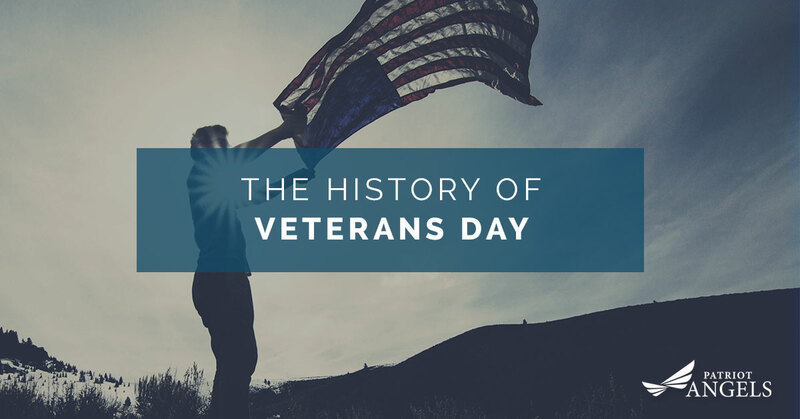 For 19 years, Americans recognized the day in one way or another, when in 1938 Congress passed an act that made November 11th, Armistice Day, a legal federal holiday. WWII and the Korean War again saw American soldiers traveling to the far-flung corners of the world. The Second World War put nearly 16 million people into uniform to battle the fascist forces of Nazi Germany, Fascist Italy, and Imperial Japan. It was the single largest mobilization of military forces in American history. When, five years later in 1950, conflict erupted in the Korean Peninsula, another 5.7 million service members took up arms to halt the spread of communist North Korea into South Korea. These two conflicts caused a rapid increase in the size of the veteran population in the United States. With this inflated population came greater activism on the part of veterans and veterans’ service organizations. In the 1950s, there was a growing movement to recognize the service of veterans of conflicts across all eras of American history. In 1954, these veterans organizations effectively lobbied Congress for this recognition. Congress revised the 1938 act, amending the language and removing “Armistice” from the November 11th day of recognition, and replacing it with “Veterans” instead. President Dwight D. Eisenhower, himself a career military veteran, signed the legislation in June of that year. This move made November 11th a day to honor all American veterans from all of the nation’s wars. The observance of Veterans Day on November 11th would change briefly in the late 1960s, as Congress expressed an interest in providing Americans more 3 day weekends, similar to the long weekends provided by Memorial Day, Washington’s Birthday, and Columbus Day. Veterans day was moved from November 11th to the fourth Monday in October. While the day was officially moved, many communities across the United States continued to recognize the 11th as Veterans Day. In 1975, President Gerald Ford, a Navy veteran from WWII, moved Veterans back to its original date of November 11th. Today, Veterans Day continues to be observed as a way to thank the nation’s military service members and veterans. Communities often hold parades, ceremonies, and other events as part of the day’s observances. November 11th is observed similarly in other places across the globe. Canada, Australia, Great Britain and France all commemorate the veterans of the First and Second World Wars on November 11th, often taking two minutes of silence at 11:00 AM on November 11th. Patriot Angels is proud to honor our veterans on November 11th and every other day of the year. If you or your loved one is applying for the Aid and Attendance pension, let us help you. We’ve been expertly navigating the veteran services VA Benefit system for years, and can help get your veteran the assistance they need for their long-term care. Contact us today, and see how we can help you. We walk with our Veterans and families through the entire process. The Veteran Administrations Aid and Attendance program is available to all wartime veterans and survivors with medical and financial needs. We offer a free phone screening. Utilize our eligibility screening to determine whether you or your loved ones meet the necessary financial and medical requirements. By advocating and educating under legal representation, our staff is dedicated to offering you and your loved ones hand holding navigation through an overwhelming and complex process by never selling products or annuities. We only provide advice under the guidance of a VA accredited attorney. Educate and protect! VA provides benefits through its Veterans Administration, and accredits representatives of Veteran’s service organizations, attorneys, and claim agents to assist claimants with the preparation and submission of VA claims. With this benefit in hand, your loved ones would be able to better afford care in their independent or assisted living community, as well as in their home. Reach out schedule your consultation today! Patriot Angels is entirely devoted to assisting veterans in obtaining their benefits and is not affiliated with the Veterans Administration or Government organization or agency. Not Intended As Legal Advice.